It further says, “You are requested to appear on February 8 at National Accountability Bureau (Rawalpindi/Islamabad) Civic Centre before investigation team for discussion and recording your statement being minister for petroleum and natural resources, on LNG Terminal to ETPL, Tri-partial agreement, LSA with EETPL and LNG import from Qatar etc. 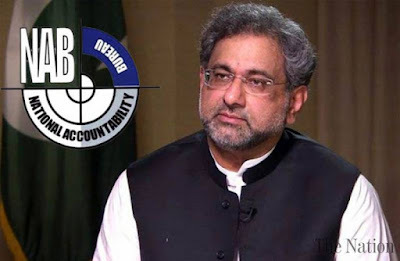 National Accountability Bureau summoned former Prime Minister Shahid Khaqan Abbasi on Friday for recording his statement in illegal award of LNG tender to ETPL. 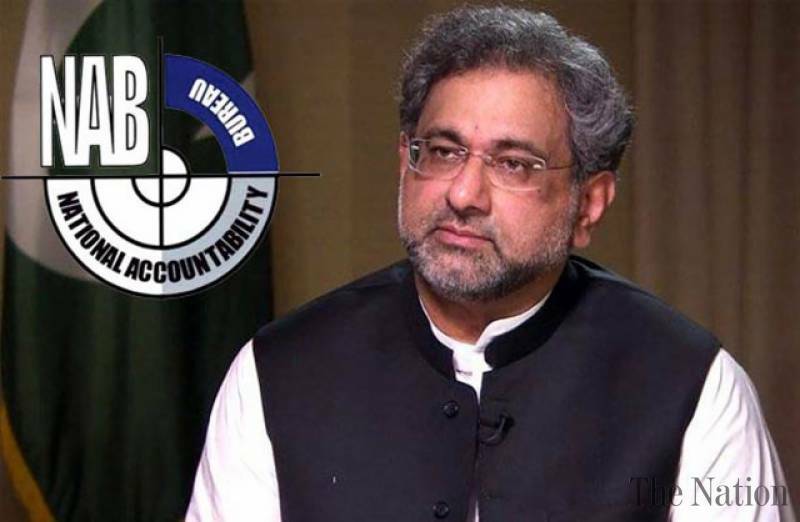 The NAB Rawalpindi issued summon of Shahid Khaqan Abbasi on January 30, with the subject of call up notice to the person acquainted with the facts of the case U/S 1999, inquiry against authorities including Prime Minister, Minister for Petroleum and Natural Resources, concerned secretary, management of Sui Southern Gas Company, Inter State Gas Systems, Elengy Terminal Pakistan Limited and others regarding illegal award of LNG tender to ETPL. On the other hand, Chairman NAB Justice (R) Javed Iqbal chaired the meeting of Executive Board held at NAB Headquarters on Wednesday. In a statement issued by NAB, the Bureau wanted to clarify that the details of the decisions taken in the Executive Board meeting were shared with the people as per routine and sharing these decisions do not aimed at hurting self respect of anyone. All inquiries and investigations are being authorised on the basis of alleged allegations which are not final. The NAB decides about proceedings ahead on such cases after ascertaining the veracity of accusations by hearing the complainants and accused persons as per law. The Executive Board meeting decided to file 3 references, the first being corruption reference against Vice Admiral (R) Ahmed Hayat, former chairman KPT and others for allegedly allotting state land illegally thus causing Rs18.18 billion losses to national kitty. The executive board authorised filing of second corruption reference against Dr Ehsan Ali, former vice Chancellor, Khan Abdul Wali Khan University, Mardan and others. They have been accused of misappropriating the funds allocated for purchase of vehicles and fuel. This inflicted Rs23.48 million losses to national exchequer. The EBM authorised filing of 3rd corruption reference against Ayaz Ahmed, Executive Engineer, Irrigation Department, East Division, Khairpur and others. They have been accused of misappropriating government funds in various schemes and awarding contracts to favourites inflicting Rs89.3 million losses to national kitty. The EBM approved conducting investigations against Malik Naveed Khan, former IG, FC/former IGP, where inquiries were also approved against officers/officials of Mian Rashid Shaheed Memorial Hospital, Pabbi, Nowshera and others. Meanwhile, Chairman NAB Justice (R) Javed Iqbal said that NAB was pursuing the policy of accountability for all. Out rightly rejecting the allegations of lacking capacity to conduct investigations of white collar cases, NAB said that taking white collar corruption cases to logical conclusion was its priority. The bureau has already filed 1,210 mega corruption references involving over Rs900 billion in various accountability courts which are under trial right now. Furthermore, NAB filed 590 corruption references to different accountability courts during the last 13 months which are also under trial in accountability courts.